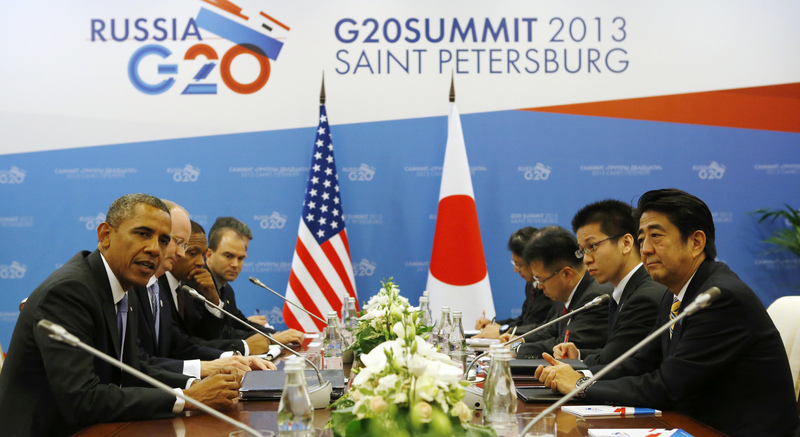 The G20 risks becoming a particularly pompous talking shop. As finance ministers and central bankers from the world’s largest economies gather for their weekend summit in Sydney, Australia, they might plan to get out of a potentially dangerous rut. There is likely to be hard talk, mostly about U.S. monetary policy. The Americans will defend both their previous extensive monetary stimulus and their current slow tightening as good for the world’s largest economy, and thus for the whole world. Unimpressed non-Americans will deem it all more disruptive than helpful. Still, any angry stares will eventually give way to a final declaration filled with platitudes. The financial world as a whole is still in a delicate condition. No one wants to throw too many stones of official disagreement, lest they start a market landslide. The reticence is understandable, but unacceptable. There is work to be done, despite much progress in financial regulation since the crisis five years ago. The G20 is the ideal forum to turn the latest thinking on short-term cross-currency fund flows into global policy. Most economists now accept that this hot money can create credit booms when it arrives and credit crunches when it leaves; so capital controls, for example temporary limits on foreign purchases of short-term debt, can sometimes be helpful. A coherent set of rules would allow affected governments to act quickly without frightening investors when unwanted funds flow in. Large current account imbalances have not gone away, although Japan’s surplus has fallen and the euro zone’s has increased. The excess currency that such surpluses generate has to go somewhere. The pre-crisis flood of foreigners’ dollars into financial markets may have helped restrain yields and spur reckless lending. An agreement to increase bank capital requirements to de-toxify these flows could help. So would global consensus on whether international banks should be resolved via bail-ins coordinated from their home domiciles. Instead, the G20 is likely to issue an empty call for more balanced trade. The good news about the G20 is that it will probably spring into helpful action in a crisis. The bad news is that without a crisis it is likely to remain almost idle. The finance ministers and central bankers from the G20 economies will meet in Sydney, Australia on Feb. 22-23. The Group of 20 is an informal organisation of major advanced and developing economies. The leaders of the countries will meet in November in Brisbane.